We have a suite of analytical apps to help you get the most from your scouted volleyball data. All are designed to work with data collected with DataVolley, and some also work with data collected using the AOC VBStats scouting software. Support for VBStats will be rolled out over the coming months. These apps are generally intended to work with a whole collection of a user’s own files, because the insights gained from looking at multiple matches at once are generally much more reliable than from a single match at a time. Some apps allow upload of a single file, and such usage is free (but may be limited). A subscription is required in order to work with multiple files, and provides unlimited use of the full suite of apps. See in-app for details. 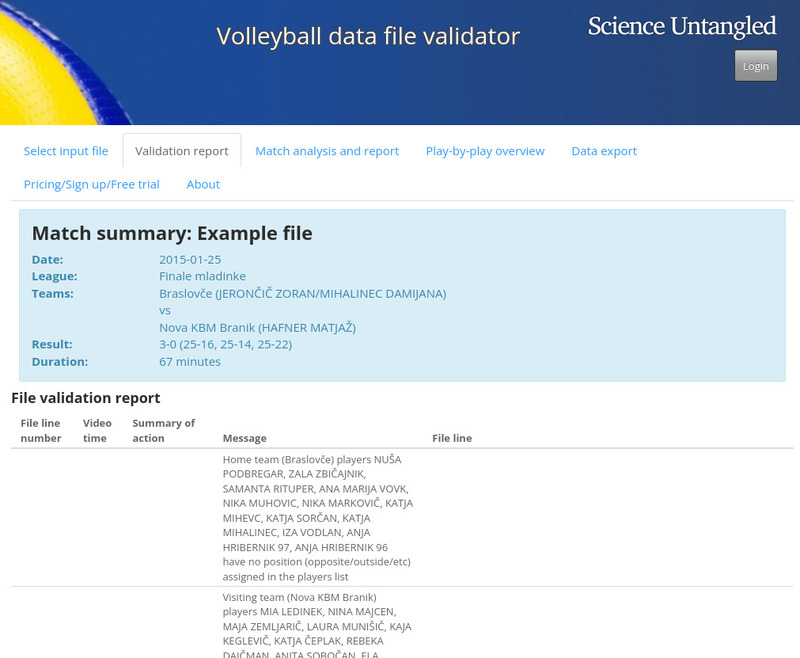 A validator to ensure that your scouted volleyball data files are as accurate as possible. Works with DataVolley and NEW AOC VBStats files. Read more or go to the app. 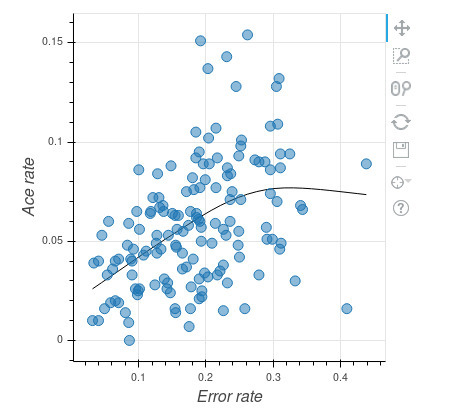 Analytical reports and interactive exploration of your volleyball data. Detailed analysis of individual and team blocking performance. 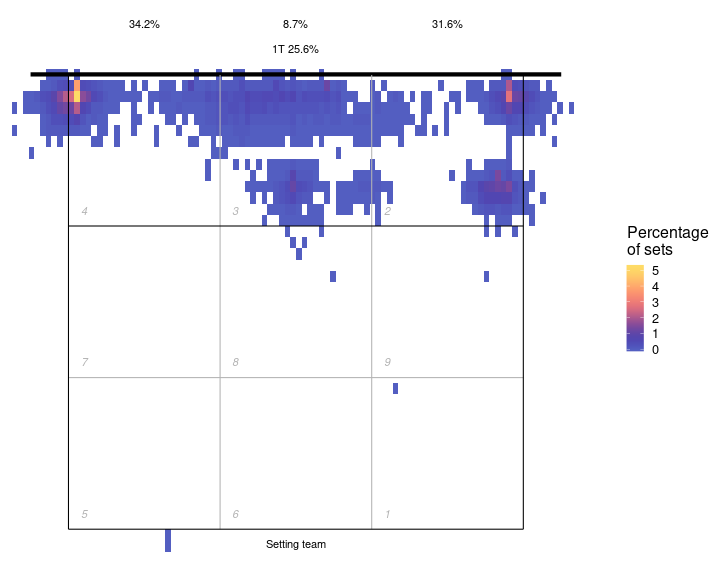 Interactive exploration of player and team setting patterns. 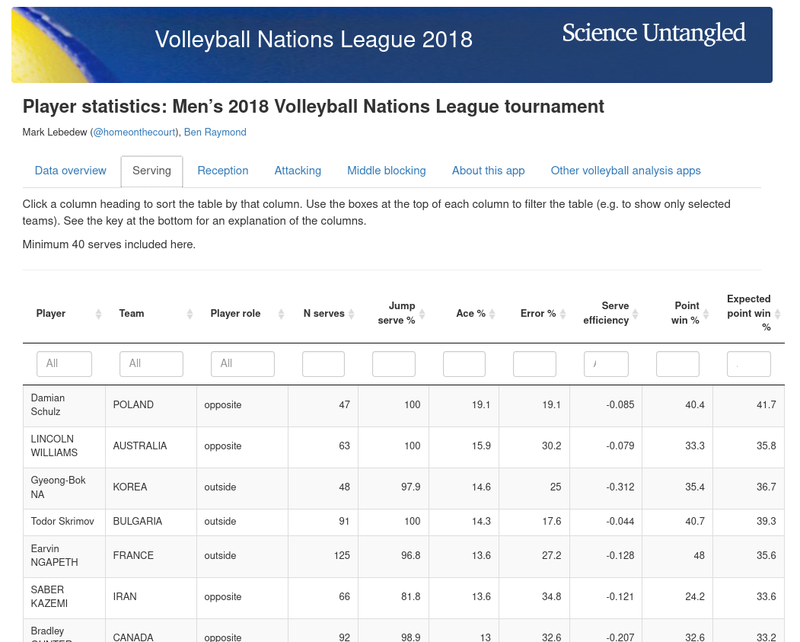 Player stats for the 2018 men's Volleyball Nations League. 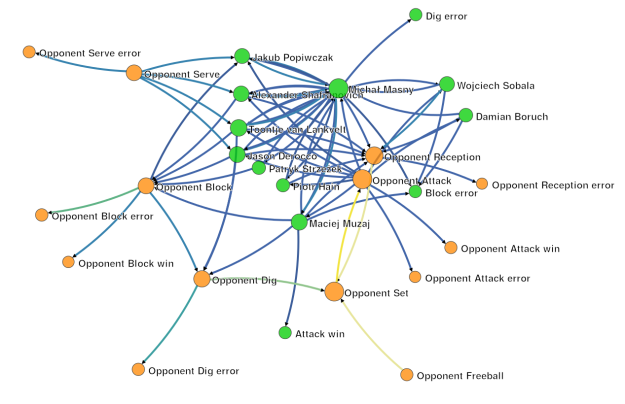 An interactive visualisation of interactions in volleyball.